I can’t remember if it was the summer of 1987 or 88, but I do know that it started in Sacramento. We had family there, my dad’s older sister, her husband, and their kids who numbered all of six daughters. They were much older than my brother and I, the both of us still in elementary school (I had just started), so much so that the youngest among them had already entered high school. That disparity made those family visits a bit surreal for me. I was unable to get a handle on anything they talked about, and I’ve never been good with names so I hardly could keep any of theirs straight except for a pair of them that doted on me. This sounds bad I know, but to this day I’m not even sure if I’ve ever really had proper conversations with all of them. That’s not entirely unusual though, I have a handful of first cousins I’ve still never met, and a few others I’ve only met once (both my parents had a lot of siblings). I can’t imagine the kind of family dynamic you’d have with that many daughters, and I never really got to know them well enough to understand, but I knew that just like any family, they had their black sheep too. I knew this because on one early visit I went upstairs, entranced that they had a spiraled staircase and an actual bridge that connected the opposite sides of the second floor. It was like a playground, a bridge —- a freaking bridge in the middle of a suburban home! I had walked across it towards a bedroom with its door ajar, where I curiously poked my head in and unwittingly altered the future soundtrack to my life. On the walls were a myriad of posters, some of them vivid and colorful in those distinctly 80’s styles, but others had faces of dudes with wild hair, and what seemed like… girls makeup on. 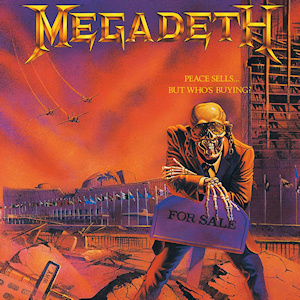 Among the panorama, three things stood out: there was a huge, huge poster of what I’d later recognize as the cover art for Megadeth’s Peace Sells… But Who’s Buying, an Iron Maiden poster with Eddie glaring menacingly at me (memory suggests it could be the Killers cover art), and a picture of Bon Jovi with collective hairstyles that stood out as particularly outrageous. It was all compelling, and I stared transfixed for a long time, particularly at the Megadeth poster. What the hell was I looking at? It was fascinating! An older cousin poked her head around the door, “There you are!”. I asked her what all the stuff on the walls was, and she quirked a sour expression, “Oh I don’t know, this is Cindy’s room…”, that immediate sense of disapproval registering in my mind. It was the start of something. No I didn’t go out and beg my mom for the new Megadeth album, I didn’t even know what Megadeth was. But a seed had been planted, the first fires of curiosity stoked in the engine of my metal fandom. I remembered her response for sure, but more importantly, I was left with a faint impression of a world that was mysterious, dangerous, and far more fantastical than the humdrum reality that family visits were entirely composed of. Sometime after this, at yet another aunt’s house where they actually had nascent cable services and MTV, I saw the video for Bon Jovi’s “Livin’ On a Prayer” and my interest in rock music took off. California was the backdrop for all these moments, our family making an annual summer drive across I-10 West from Texas through New Mexico and Arizona, up to cities like Modesto, San Francisco, Fremont, and of course Sacramento. We’d spend weeks on these Ford Aerostar trips, and for whatever reason, out there I heard things I’d never hear back home in Houston: Guns N’ Roses in passing moments as the late 80s wound by, White Lion’s “Wait” playing from some guy’s car stereo as he idled in front of Vince’s Shellfish Co. packing warehouse that was directly across the tiny street from my grandmother’s even tinier San Bruno house. There’s more than a handful of songs I associate with that street, as well as the sight of the actual “South San Francisco The Industrial City” sign on the side of Sign Hill Park that you could see in the distance if you stood on something tall to see over the buildings. One windy, chilly sunset evening I heard the sonorous notes of what I’d later recall as Journey’s “Lights” drifting over some nearby fence while standing on the minuscule patch of grass that served as the backyard of that house. Names of relatives, phone numbers, addresses, these were things I could hardly remember (still can’t) —- but singing voices were seared upon my memories, and my recollection of the songs that carried them remained as vivid as the moment I first heard them. It was more than just rock music that I soaked up on these trips, it was an entire musical pop culture education that spanned across genres. An uncle lived with my grandmother, and due to him the place had cable TV as well. Straining to hear over the house shaking roar of jets frequently taking off a few hundred yards away at San Francisco International, my brother and I saw videos from Bobby Brown, Madonna, Paula Abdul, and Phil Collins. I quietly loved all of it, especially Phil Collins, of whom we must’ve bought a cassette of because I distinctly remember listening to him in the Aerostar as it bounded across cracked roads, steep hills, and narrow avenues (we’d frequently find ourselves bounced out of our seats, no 80’s minivan has shocks good enough to make Bay Area driving comfortable). We listened to the oldies too, the only music my parents would tune the car radio to, and I got an education in Motown’s Holland-Dozier-Holland, The Beach Boys, The Beatles, even Supertramp. My parents were always unwittingly influential that way —- during the first four years of my life when we lived in Modesto, my mom would play ABBA in her Datsun 510, a detail she doesn’t remember (to be fair, she hardly ever remembers the names of musical artists) and along with Kenny Rogers and Crystal Gayle they compose most of my first musical memories. I would return home from these long family trips with a head spinning full of melodies not easily forgotten. And I suspect now that the overwhelming pop influences that I picked up here would later direct me to better appreciate metal subgenres such as power metal, when most other Texan metal heads were only concerned with heaviness. But of course you’re a kid, and your attention span even in those pre-internet days is still in constant flux, so I’d be diverted by the rest of the endless summer’s allure: riding bicycles in the tracks we carved in the thicket of woods behind the neighborhood, ducking out the hottest hours of the day at various friends’ houses, and generally just exhausting ourselves in a variety of ways. The idea of owning music didn’t become a reality until much later in elementary school, when I started listening to a local Houston “mainstream rock” station called Rock 101 KLOL. They’d play your hard rock standards, AC/DC, Guns N’ Roses, Montrose, Thin Lizzy, Scorpions, ZZ Top (whose drummer Frank Beard had a palatial estate just outside our neighborhood) —- but at night they’d let heavier stuff slip through, some Metallica, Queensryche, Pantera, and offbeat stuff like Faith No More. I’d frequently record hours of these broadcasts on my cassette deck boom box, failing to remember to stop during commercial breaks. It soon dawned on me that I should get proper copies of the stuff I heard on the radio and loved. I began exploring the record store at the mall, scoring treasures in both CD and cassette from the used bins. Fast forward to the start of sixth grade, and I have my first run in with real metal heads, or headbangers, as they were legitimately called in those days. Chad and Eric, two metal t-shirt wearing guys in the percussion section of the symphonic band I was placed into after tryouts. I was assigned to the suspended cymbal, Chad and Eric on the snare drums, and a few other kids whose names escape me covered the timpani, the bass drum, and the xylophone. I’ve always been a friendly sort, so after band practice that first day I struck up conversation, albeit nervously considering they were a grade ahead of me. Chad was wearing a Metallica shirt, the …And Justice For All design. “Hey Metallica…,” I squeaked to Chad, “…I know them, I love ‘The Unforgiven’…”. He sneered and audibly scoffed, “Oh yeah? What, is the Black Album the only thing you’ve listened to?” I didn’t expect the hostility, I think I stammered out something unintelligible and Eric, being the nicer of the two, informed me succinctly, “They’ve been around a long time, they have older, better albums.” Chad was brusque, “Come talk to me when you’ve listened to Master of Puppets and Ride the Lightning, and know more metal bands than just Metallica. Don’t be a poseur.” That word was a big deal in the mid-90s, the worst sort of insult. I was struck by an invisible hand, and chastened, I sauntered away, only later feeling enough resolve to grab my Metallica-loving friend Daniel in the hall to pester him into making me copies of whatever else he had. He didn’t have much really, a Primus album (Sailing the Seas…), and Pantera’s Far Beyond Driven, but it was a start. Within a rapidly short period of time however, I bought up a plethora of new music from frequent trips to a used cd store and occasionally the Sam Goody’s in the mall. Megadeth became an obsession, I loved them even more than Metallica, although in those pre-Load days I’d have never said so out loud. It came in a flood and it came nearly at once: Iron Maiden, Metal Church, Suicidal Tendencies, Saigon Kick (The Lizard! ), Queensryche, Ozzy, and Dio. Also older hard rock stuff too: Tesla, Van Halen, Dokken, Motorhead, and yes, still a love for Bon Jovi, particularly the neglected 90s albums. It was a combination of the enjoyment of the music itself, the rebellious image it presented, and also the uniqueness it brought to my own self-identity. Hard rock and metal were not en vogue in the mid-nineties in Houston, particularly not at the middle school I went to, where rap and to a lesser extent modern R&B music was predominant cultural force. We were outsiders there, a few scraggly kids with interests that everyone else deemed either weird or considered outdated, a viewpoint that really seemed to take hold during that time, that a pursuit of trends and being in fashion was the way to be “cool”. I think it was probably different a decade or so later, when the concept of retro permeated the sensibilities of pop culture and fashion. Happening concurrently with that explosion in music buying was the dawning of a deep interest in rock and metal magazines, which I bought as often as I could spare the few bucks not reserved for actual music. 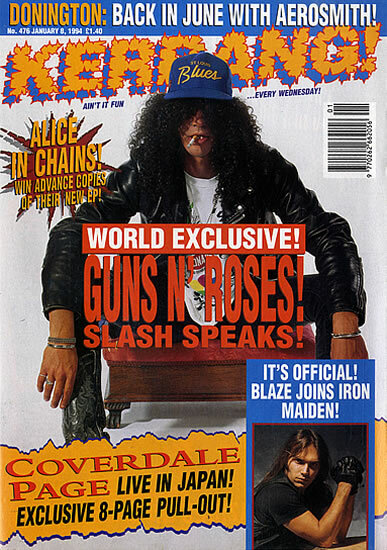 Kerrang!, Metal Edge, the last years of RIP, Hit Parader, Circus, and a host of others were regular reading material, mainly at the magazine racks of the nearest bookstore. I stuck to magazines that had bands and names that I recognized, mostly mainstream rock/metal type stuff —- I’d curiously flip through Metal Maniacs and wonder why they weren’t writing about Metallica. Yeah, I was naive, more on that soon. The reading material became a compulsion, and in addition to the magazines I tore through any books on rock and metal that I could find, biographies being a particular favorite. I became a sponge for facts, memorizing band member’s names, line-up changes, chart positions, and entire backstories of favorite bands, Metallica and Iron Maiden in particular. In the summer of ’96, Metallica released Load, and I listened to it obsessively in a crappy Sony Discman, and my fandom of the band was at such a fever pitch that I loudly defended it to detractors among my circle of friends. I’d dodge their clumsy insult based diatribes by talking about lyrical depth, a specific moment in a favorite song, be it a riff or a melody, and would dare them to find a deeper, more meaningful Metallica song than “Bleeding Me”. I convinced no one of course, but I found in myself a conviction in my own beliefs, and confidence in my ability to argue intelligently about music. In retrospect, it was likely around this time that I found my love of music criticism, both through envying the writers of the magazines I was reading, as well as forming my own arguments to defend albums that were under fire from fellow metal fans, both in person and online in early forum boards such as The Official Megadeth Forums and the old EncycMet forums (the latter used to be a thriving community, now its a junkyard for bots and spam). I learned a lot from older, salty veteran metalheads at these places, got pointed in the direction of bands I should check out, and would be generously linked to private FTPs to grab an MP3 of a band someone would think I’d enjoy. I got introduced to black metal this way, through someone passing me Dimmu Borgir’s “Mourning Palace”… it took hours to download that one song but it was totally worth it. Around this time, my old buddy Daniel had leaped headfirst into heavier stuff —- we had already listened to Cannibal Corpse and Gwar at his house, more of out shocking his conservative parents than any real enjoyment of the music, but soon he got his hands on a dubbed copy of albums by Death and Carcass. We sat and listened to Individual Thought Patterns and Heartwork, and of course Sepultura’s classic Chaos AD. Almost at once, I dove into the death metal pool, and still remember us bicycling from his house to the nearby 7-11, ostensibly to buy Jolt Cola (it was the only place that sold it), and instead spending my few dollars on that once perplexing magazine called Metal Maniacs. It was the dawn of a new era in my metal fandom. I was in high school by this point and my musical tastes were flowering in a myriad of directions. An old elementary school friend named Greg and I reconnected over a shared love of the Smashing Pumpkins; a girl I briefly dated in the 9th grade introduced me to U2 which soon became a hidden obsession of mine; I was introduced to the elegant British pop of Saint Etienne via a computer-geek friend and his anglophile sister; to The Prodigy, Underworld, Aphex Twin, and other electronic “techno” music through a budding hacker buddy (hey, hacker culture was a big deal back then (Free Kevin! 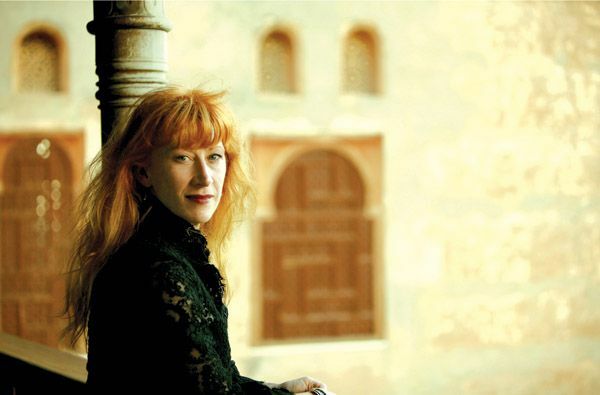 )); and I met Matt Roy, a good friend to this day and fellow metalhead who introduced me to Loreena McKennitt, the world traveling Celtic songstress whose Book of Secrets album was a quiet, nighttime revelation. In the halls of that high school, I ran into a familiar face one morning by our usual pre-class hangout spot, it was Chad from my old middle school percussion section. We both knew a big metalhead named Paul Saleeba (there were so few metal fans at my high school, we all knew each other in some way), and Saleeba and I were talking about whether we preferred death or black metal and whether the newly released Lords of Chaos book was true or not. Chad listened to me talk in detail about bands from Norway, and while he didn’t say anything directly, I noticed he no longer regarded me with the sneering contempt he once had. No one could call me a poseur by then. The pre-social media, pre-Blabbermouth.net internet at that time was a patchwork of some individual band websites with message boards, some central online metal hubs that fans of all stripes congregated at, and also the burgeoning dawn of metal only internet radio. Starting around 98-99, I was a daily visitor at KNAC.com, HardRadio.com, and a host of other newly developing metal internet radio sites. 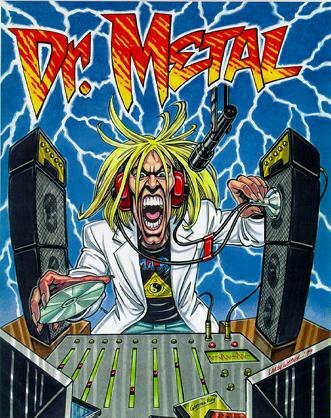 Someone on a message board tipped me off to WRUW in Cleveland, who had a few weekly metal shows on their college radio roster, one of which changed my metal fandom by itself —- Dr. Metal’s The Metal Meltdown. I have a distinct memory of sitting one Friday afternoon and listening to all these bands I didn’t recognize but loving largely everything I heard. It was a revelation, and my introduction to power metal. The Doc threw out names I recognized, Helloween and Savatage, (both had new albums coming out around then), but those were bands I had previously only thought of as 80s metal bands, the ones that couldn’t survive unlike your Metallicas and Queensryches (how young and dumb I was!). Soon the Doc was throwing unfamiliar names my way, playing their newest cuts in rapid fire: Gamma Ray, a new band from Sweden called Hammerfall, Tad Morose, Royal Hunt, Pink Cream 69, Iron Savior, Edguy, Angra, and so many others. I recognized one band in particular though, Blind Guardian, whose “Lord of the Rings” I had heard weeks prior on Hardradio.com only to be left transfixed and frustrated for wanting more. He played songs off their newest album, Nightfall In Middle Earth, and I had a transcendent experience. My perspective on metal and music were forever changed. My dive into power metal coincided not only with the flourishing of the Golden Age of Power Metal™ in the late 90s through early 2000s, but with the advent of getting a job(s) and my own car. I would immediately begin seeking out local record stores around town (its dizzying now to think of how many of them existed, albeit for only a short while longer), spending my paychecks there as well as ordering multiple titles from overseas distros at one time to save on shipping. I ordered albums from Germany, Italy, France, Japan (the most expensive single disc I ever bought was Sonata Arctica’s Orientation EP for 40 bucks from a Tokyo distro, totally worth it). The stateside merger of Nuclear Blast’s catalog with Century Media’s distro was a game changer, making previously unavailable albums accessible to stateside fans without exorbitant shipping costs and even the possibility of retail placement. I worked in the music section of a Borders Books and Music in those days and would make use of the company’s various distribution channels to get tons of stuff for myself, and even got hooked up with regional major label reps for bigger things (promos ahead of release dates, concert tickets… well, Def Leppard, Poison, and bands of that ilk, but it was something). The magazine addiction continued too, with frequent visits to a now defunct (and mourned) magazine shop called Superstand where I could grab import issues I couldn’t find anywhere else. It was the transformation of a budding obsession to a way of life. Fast forward to the late summer of 2000, and my life was… to put it mildly, hectic. I was starting a new job, living in a new apartment, going to university for the first time, and was constantly driving back and forth across the traffic clogged expanse of Houston’s spaghetti bowl of freeways. I was also going through a rough time, feeling down at the departure of some friends, alienated from people around me and feeling utterly lost and adrift when on campus. 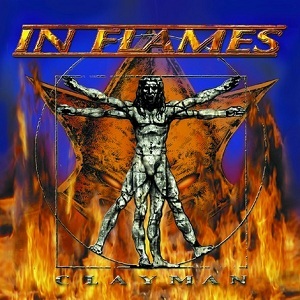 I had gotten into the Gothenburg melodic-death metal scene earlier that summer, and In Flames’ new album Clayman was in its own lyrically clunky way expressing everything I was feeling during that period of time and I was listening to it almost non-stop (pausing only to listen to their other classics, The Jester Race, Whoracle, and Colony). I remember it was a chilly fall, and it turned into a frigid winter, the coldest I can remember in Houston terms. I associate those albums with getting in my car with the heater going, purposefully driving fast enough to blank out my mind to everything else while banging the steering wheel in time with the drums. One day while looking online in the computer lab at school, I found out In Flames was coming, Saturday, December 16th, —- here, to Houston! I resolved to go no matter what. I had been to concerts before, but this would be my first club show, complete with parking in a sketchy neighborhood! It was a Saturday, with a gusty wind-chill putting the temperature around 40 something degrees, and in that late afternoon I walked towards the legendary Houston club Fitzgerald’s. I remember being severely unprepared for the cold, and I clutched my jacket around me, fingers growing ever more numb. Fitz’ basically looks like a very large house (it was previously a community center for the local Polish-American community shortly after WWII), and had been converted into a dance hall in the 70s, with the main stage upstairs —- but vestiges of the old home remained: an upstairs front facing balcony, and below it, an elevated wooden front porch. As I neared, I saw a familiar figure sitting on the steps, and when I was mere yards away from him it became clear that it was In Flames vocalist Anders Friden sitting on the steps, leaning against the wooden railings. I remember saying hello, and asked him how he was doing, how the tour was going. I was nervous, it was my first face to face with a musician that I was a fan of, let alone one whose albums I was completely immersed in at the time. I was stunned that I could just talk to him out there, no security pushing me away, no “backstage pass” needed, just two guys dressed in black sitting on a wooden porch. He looked at me and grinned sheepishly, and said in a noticeable Swedish accent, “Oh man, you know, we partied really hard here last night …”. Here?! I thought. In Flames were here in Houston last night?! I asked him where they went to party but he shook his head and said, “… Don’t know, can’t remember… you guys have bullet proof windows at the Taco Bell drive-thru down here, that freaks us out man…”. I laughed, completely taken off guard. We chatted a few more minutes, me trying to reassure him that Houston wasn’t all that dangerous everywhere, though he seemed unconvinced. The bums loitering outside the convenience store across the street did little to reinforce my sentiments. I remember him commenting on how early I had arrived (it was only 4:30pm), and I told him this was my first club show and first time going to a show by myself. He seemed surprised at that, remarked that he hoped they delivered a good one. Right around then someone bellowed for him from inside and he got up and said “See you man” and went in. I sat there in stunned silence while a guy with an In Flames shirt was walking up to the venue to join me in the long, cold wait. A few minutes later we heard some familiar riffs as the band sound checked —- the guy outside freaked out, ecstatic that he was hearing an In Flames soundcheck. I didn’t tell him that he had just missed Anders sitting outside, it would’ve been a jerk move… instead I agreed with him about the awesomeness. That show was epic. Like front and center pressed up against the stage, got handshakes with Jesper and Anders (who did recognize me from earlier), heard Jester Race songs played live, and got Jeff Loomis’ guitar pick kinda epic (oh yeah Nevermore and Shadows Fall opened). It meant so much to me to see In Flames that night in particular, it was cathartic in a way. I remember driving back in the wee hours that night, high on the experience, realizing that I needed more of that type of hit. What followed was an onslaught of going to shows, everything from touring bands to local death metal gigs in cramped record stores, and for awhile I kept count of how many I had notched. That count is lost to memory and time, and I couldn’t even begin to estimate how many shows I’ve been to by now. If I go too many months without seeing a show, I feel it in my gut, the start of a yearning that won’t go away until I feel the rumble of amplified guitars and kick drums in my chest again. People say you’re supposed to grow out of this stuff, being excited about music and seeing concerts. You’re not supposed to want to start a metal blog a decade after that first club show, your adult mind having settled down to adult interests like golf, dinner parties, and khaki pants. I guess in that sense, I’ve never really grown up, or at least grown up the way most people consider right. If you’re reading this (this far especially), you likely can relate a bit to that. I started The Metal Pigeon in 2011 because social media quietly killed most of the forum communities that I was a part of, everyone (bands included) making the move over from standalone websites and official forums to Facebook. 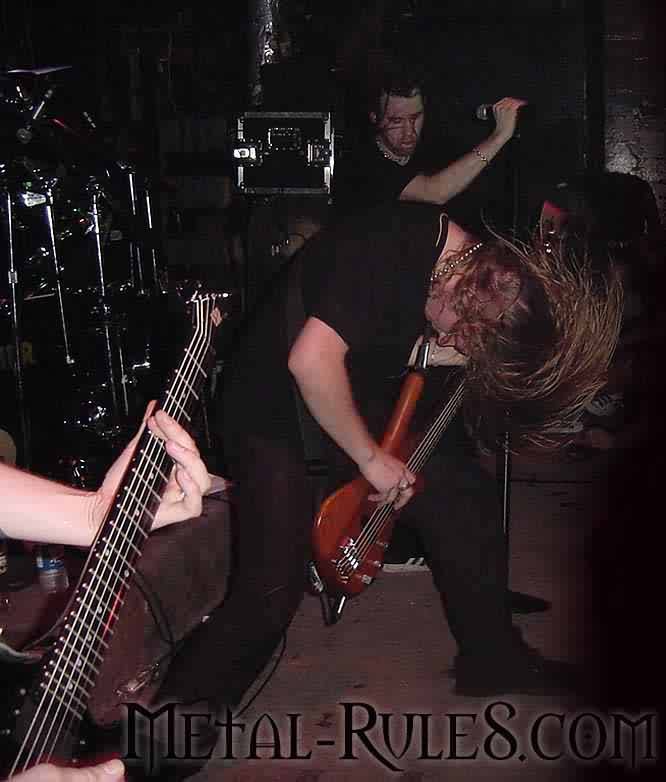 Even if no one read it, it would be my soapbox to continue doing what I had been doing informally since the late 90s, talking and writing about metal for the sheer love of it. Amazingly, more people than I ever imagined have visited this site and read what I’ve written, and some of you have surprisingly come back over and over. That alone stuns me. I also co-host the MSRcast, plunging into a form of media that was all but alien to me a few years ago, and have learned that my smarmy voice going on incessantly about metal has been heard in far off places such as Australia and Brazil, where an English teacher used the show to help his students learn conversational English(!). People have asked me in the past, “Why do you listen to metal?” My answers were always generic and obvious. But I suspect now that I never really had a choice in the matter. I was in the right house during the right time, seeing the right posters on a relative’s bedroom wall. I was in the right spots to hear the right songs around my grandmother’s house in San Bruno, to remember them and store them away in my mind. I had a lifetime of possibilities to lose interest, to turn towards something else, but apparently, every time one came near, the music guided me onward. It was never a destination, it has always been a path. Interesting read..your story about your first In Flames show and hearing the pre show sound check and so forth reminds me of my experience with Phil Collins. We arrived at Saratoga Springs very early the day of the show in like 1985, all of us a couple years out of college (yeah – old timer here..). We decided to take a walk through the woods near the performing arts center and sat down in a secluded spot over looking a small creek and out of no where we heard the sound check and a few lines from “In The Air”, clear as a bell and very surreal – no one around but me and a couple friends I drove to the show with. We were not lucky enough to meet Phil but still a kind of transcendent experience. Just for the record, I was not a huge fan of Phil Collins solo but was very much a fan of Gabriel era Genesis. My taste for metal developed by way of 70’s heavy progressive (King Crimson, Van der Graaf Generator..etc). That’s an awesome memory to have, I would’ve loved to have seen Phil during that era. I got lucky to be invited into a venue to see Porcupine Tree soundcheck in 2005 on their Deadwing tour with one other guy who like me had arrived to the venue super early (think it was 3pm). Back in the day I would always make it a point to get to venues early simply to have a shot at meeting the band (even for club shows, it was always easier before the show rather than after). Past few years though and as I’ve gotten older thats no longer a priority —- heck I saw Hammerfall on this past Monday evening and left my house at 7pm and showed up with 20 minutes to spare before Hammerfall took the stage after the local opening bands. No one ever warned me that getting older would make standing on concrete floors for hours on end so much more tiring hahah. Early 80’s were pretty good for me – also saw Peter Gabriel (best concert ever!! ), Genesis a couple times, Moody Blues, David Bowie, Robert Plant (with Phil on drums), Yes, Styx, Jethro Tull, Supertramp, Stevie Ray Vaughn…and just about anything of note that came through NY state or Toronto. Hah yeah I feel the same way about other fan’s origin stories sometimes. Yeah I think elementary school starts around six here. Thanks for reading my piece! I love reading people’s stories about how they got into metal (or horror movies, or any “niche” subculture really). My gateway into metal was far less interesting and kind of silly. A friend of mine had made me listen to her copy of “Once” by Nightwish shortly after Tarja was fired. She was devastated over this and was actually crying and I felt bad for her, so I mainly listened to it to be nice. I’d never heard them or anything *like* them at that point (I was mostly into skate-punk at the time – NOFX, Bad Religion, Pennywise, that kind of thing) and thought NW were weird as someone completely alien to power metal and symphonic metal, but an interesting kind of weird. I remember “Planet Hell” sticking out to me especially, and it’s still one of my favorites by them. After that, I looked for similar bands and ended up finding Kamelot (“The Black Halo” is pretty much my favorite metal album ever now), Sonata Arctica, Blind Guardian, Within Temptation and others. At some point, I heard everyone’s favorite punching bag Cradle of Filth and got into the extreme side of the genre through them (and I still like ’em, oops). Metal then began to encompass most of my music listening through the rest of high school and…well, now as a grown adult too. I still like punk though (it was my first musical love after all) and I even saw Bad Religion back in October. Hah, wow that’s crazy to hear about someone getting into metal post Tarja-Nightwish era. And yeah, reading your story makes me feel like an old man!